i cant help myself from not writing about this hot trending now. What a game, what a score! 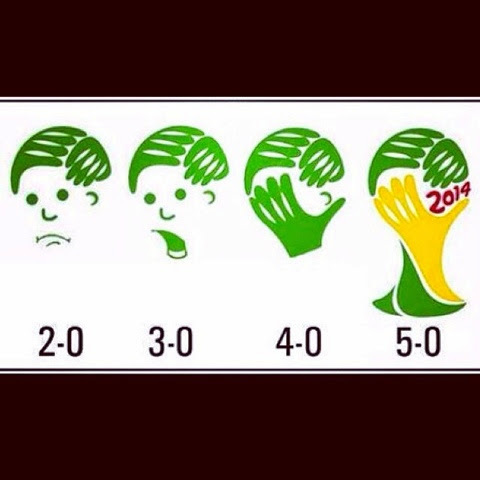 Brazil, a 5 times World Cup Champion lost bigtime during the match yesterday. Brazil obviously suffered having no Neymar. 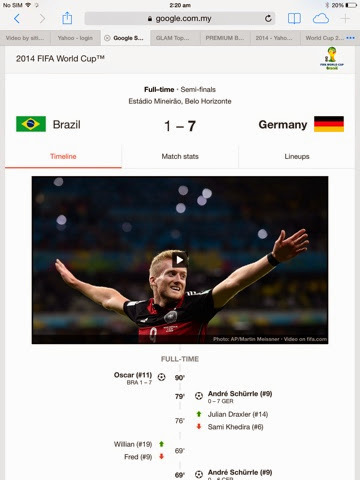 What an embarrass moment, lost at their own place to Germany, 3 times World Cup Champion. This is funny! Pictures taken from Instagram. 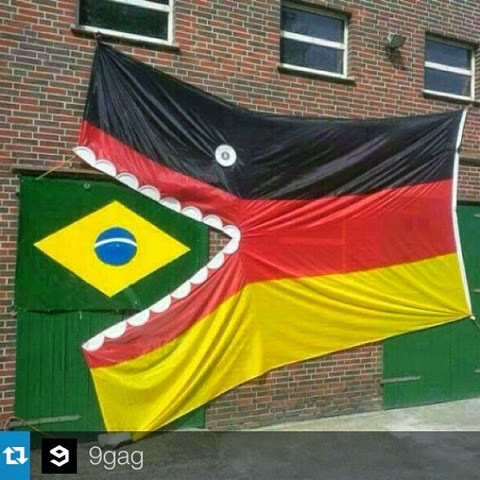 One of the thousand pictures in social media that make fun on Brazil's big lost. 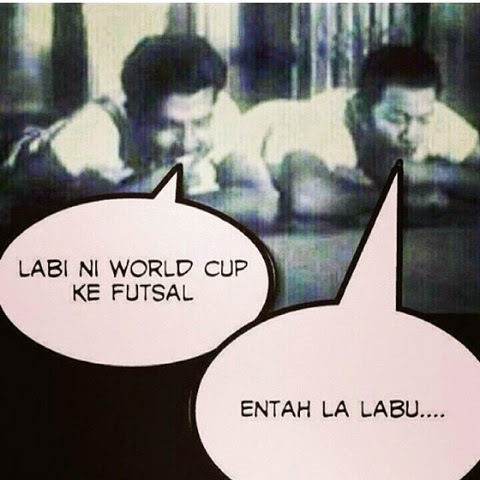 Whatever it is, i just cant wait for the final match. 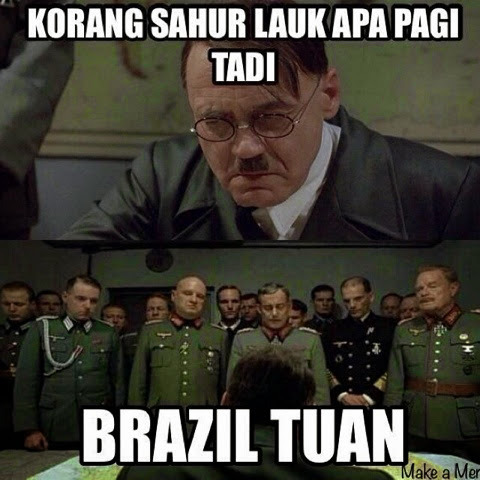 Germany now will have their chance to win the 4th World Cup title. Orait, time to pay back my sleep time yesterday. Where is my Bio Velocity Sleep Mate?